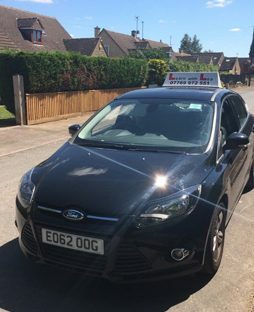 Learn with Lea – Kev Lea’s driving school – is based in Cheltenham, and offers driving lessons in Cheltenham, Gloucester and surrounding areas. I am an Approved Driving Instructor and member of the Driving Instructors Association. I provide tuition to all ages and abilities, and am patient and friendly. My pass rate is well above the national average. If you are a school or college student I am able to pick you up at lunchtimes, during free periods and after school to fit around your studies. I will teach you to be a safe & skillful driver and give you all the help you need to pass your theory & hazard perception tests. I also offer refresher lessons, please contact me for further details. Brilliant instructor, made me feel at ease. Highly recommended!! Thanks Kev, passed my test first time! Kev was a great instructor and made me feel at ease throughout my lessons. Kev was patient even though I was very nervous, and I managed to pass first time with his help.